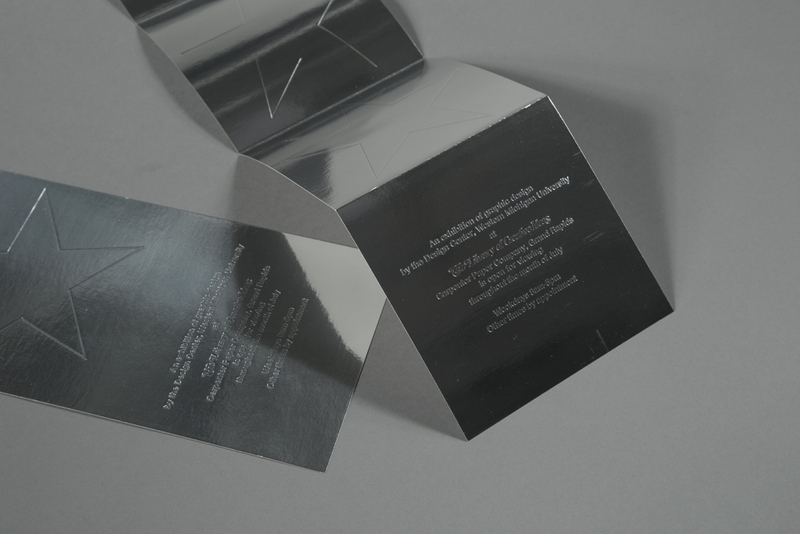 Fold out invitation using blind stamped lines to build a star on silver foil paper. 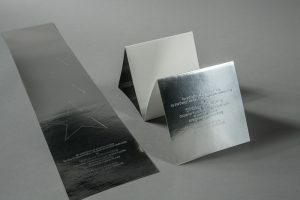 Size W 5" x H 25"
Techniques Blind stamping (image and type). Scored and folded by hand.